NEW YORK, November 12, 2018 – Create, a breakthrough health plan venture from Brighton Health Plan Solutions, today announced it has been recognized with two 2018 eHealthcare Leadership Awards: Gold for Best Rich Media, and Silver for Best Site Design. As the first and only competitive marketplace of health plans centered around integrated delivery systems in the New York tri-state area, Create is transforming the way people receive health care by bringing doctors and patients closer together. Leveraging digital communications has been central to its early success. Through its proprietary online platform and tools, Create allows employees and plan members to shop among multiple delivery systems during open enrollment and choose a single system from which to receive all of their care. Individuals and families can compare cost and quality of each health system, as well as view in-network health care providers and locations to determine the best fit for them. This groundbreaking approach allows Create to facilitate lower health plan costs for employees and plan sponsors, while enabling coordinated care between health care providers, resulting in more informed and compassionate care. A user-friendly website and compelling digital content have been key tools in conveying the model’s transformative vision. 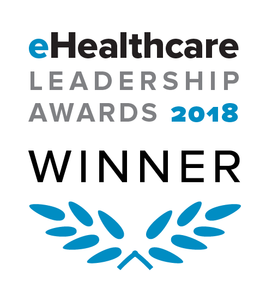 The eHealthcare Leadership Awards recognize health care organizations for their outstanding websites and digital communications, highlighting the role of digital communications in advancing health care organizations’ business objectives. This year, the awards program received nearly 1,000 entries. Founded in New York City, Create is revolutionizing health care with a new self-funded alternative to traditional health plans. Create believes total cost, clinical and service quality, and population health are improved when patients develop a long-term relationship with their doctors. At open enrollment, Create empowers families to choose a health plan built around a high performing integrated health system that can facilitate coordinated, comprehensive care with expertise in a wide range of specialties. Create is the first to align interests across providers, patients and plan sponsors to deliver personalized, high-quality, high-value care at a lower cost. Learn how Create is protecting the future of health care with an approach where everyone wins. Learn more at https://www.createhealthplans.com.